Happy Friday friends! Are you so glad it's the weekend? 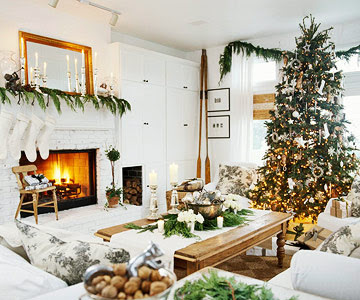 To finish out the week I wanted to show you my very favorite Christmas house, from Better Homes and Gardens. 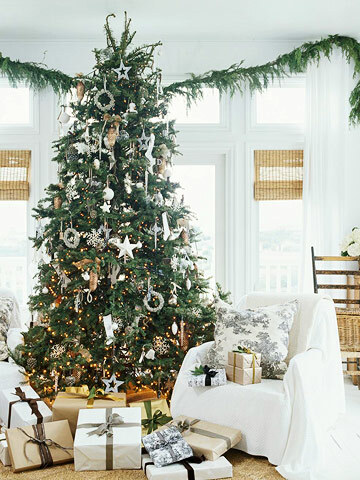 It's the perfect mix of elegant white, neutrals and natural greenery. Simply stunning! You can tell this dining room would be amazing in any season, but the natural greenery and neutral stockings dress it up perfectly. 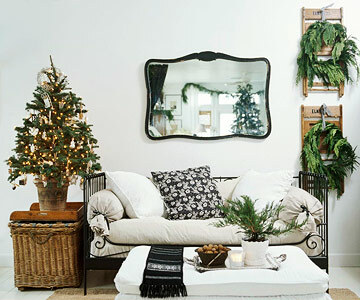 The daybed is perfectly dressed with simple linens, and the small tree and wreaths create holiday charm. 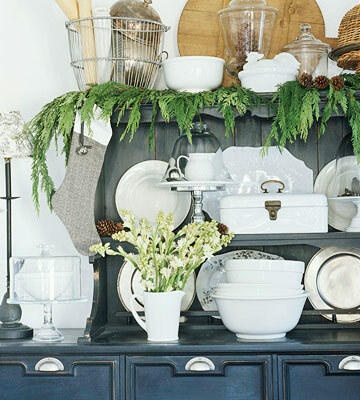 Architectural salvage and wicker baskets are the perfect pairing. Probably one of my favorite Christmas images ever. 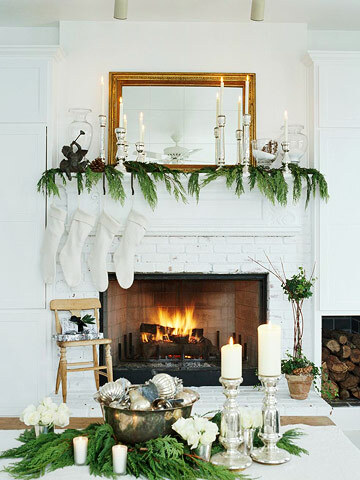 The fireplace is stunning in its simplicity. The tree trimmed with silver. I love the mix of colors and textures on the packages, but all within the same color palette. 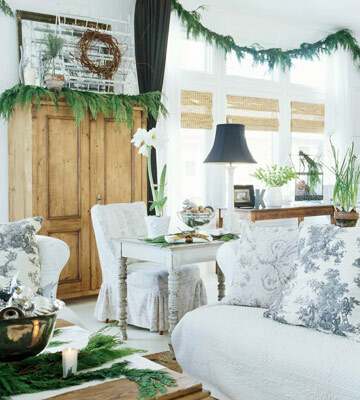 Layers of furniture, patterns and texture create a comfortable space. 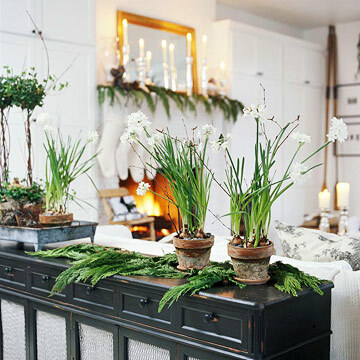 Paperwhites are one of the easiest ways to bring nature in at Christmas. A simple holiday hutch. 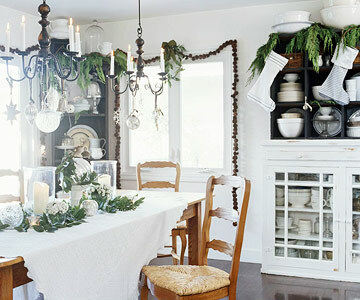 Greenery, pinecones, fresh flowers and white serveware are an elegant mix. I hope you enjoyed this little holiday home tour! All images can be found here. Have a great weekend! These images are seriously stunning. You are so good at taking inspiration like this and really interpreting it in your own space! Any tips on how to stay on course with your interior design? That is a pretty one. 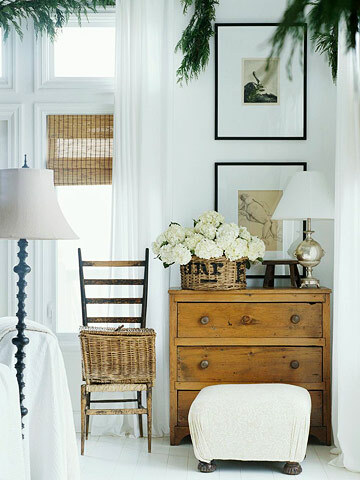 It's funny that I only recognize one of the pictures(the dresser with all of the wicker). its fun to see where it came from. The dinning room is my favorite. thanks for sharing! 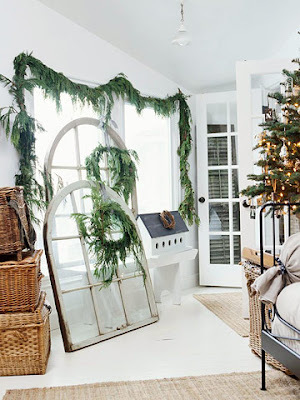 I absolutely loving these images....This is the exact style that I love and want to have some day! Thanks for sharing and have a wonderful weekend!! !